Native to LA, loves swimming in calm waters, short but sweet, a lifetime protector. This could be the unicorn of all dating profiles but it’s actually the description of the Unarmored Three Spine Stickleback (Gasterosteus aculeatus williamsoni). 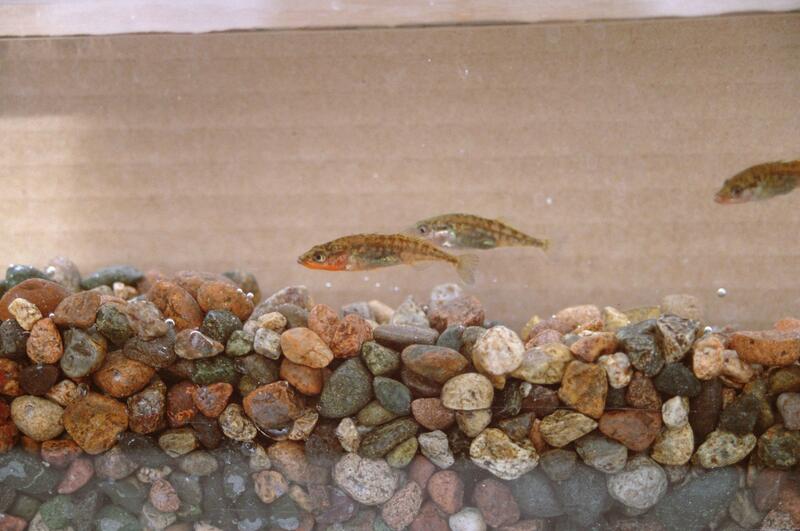 The 3spine stickleback is a scaleless freshwater fish that grows up to 2 inches long. It is found in calm waters in streams and rivers. 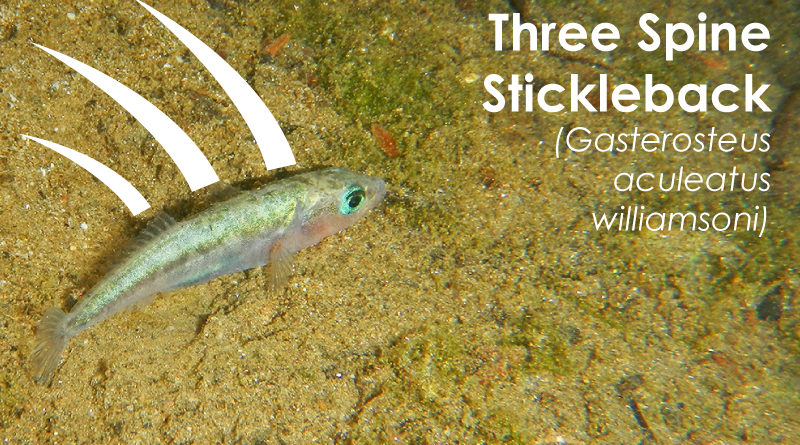 The 3spine stickleback can only be found in 3 areas in California: upper Santa Clara River and its tributaries in Los Angeles County, San Antonio Creek on Vandenberg Air Force Base in Santa Barbara County, and the Shay Creek vicinity in San Bernadino County. The 3spine stickleback was historically found in Los Angeles, San Gabriel, and Santa Ana Rivers but due to development and urbanization, it is no longer found in these areas. 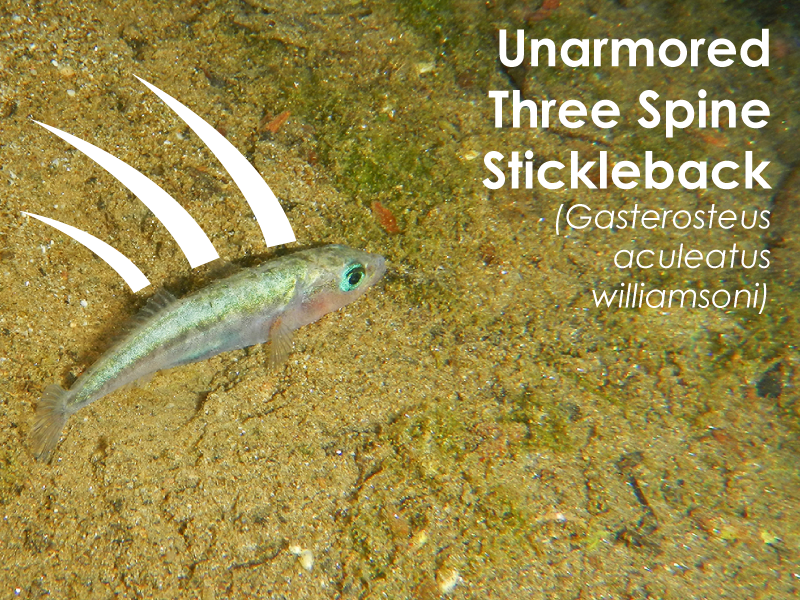 The 3spine stickleback feasts on insects found on the bottom of riverbeds, small crustaceans, and snails. They reproduce throughout the year in slow-moving water with plenty of aquatic vegetation to provide cover. The male 3spine stickleback creates a love nest using plants and algae to entice various female 3spine stickleback for a visit. The male protects his nest of eggs and then the fry (baby fish) that hatch. 3spine sticklebacks definitely live their live to the fullest since they only live for about…. a year. However, the 3spine stickleback is in danger. The 3spine stickleback is listed as an endangered species in the Endangered Species Act in 1970 and in the State of California in 1971. 569 3spine sticklebacks were relocated from the Santa Clara River to Santa Francisquito Creek during the extreme drought in 2015. The drought conditions reduced the water levels of the occupied pools in the Santa Clara River. The relocation operations were conducted by CA Dept of Fish and Wildlife, US Fish and Wildlife Service, and US Forest Service.